When I walked into the Oil Sands Discovery Centre a day after participating in the Tar Sands Healing Walk in Fort McMurray, Alberta, Canada, the first thing I noticed was a clear dome on a stand, just tall enough for a young child to be able to peek into it. Yeah, that’s right. I’ll let you process that for a second before we move on. This “Discovery Centre,” which was funded by the Albertan government (a.k.a. Canadian taxpayers) wants your children to stir up bitumen and then stick their noses over a vent so that they can inhale tar sands fumes. I decided I had inhaled enough hydrocarbon fumes during the 2011 Exxon Yellowstone Oil Spill that covered my family’s farm in Montana so I refrained from taking advantage the opportunity they were providing me. Who needs to go to Ft. McMurray to smell bitumen when it’s constantly getting spilled all over the U.S in various pipeline disasters? Unfortunately, this isn’t the only exhibit that is aimed at children. The entire center is loaded with hands-on play areas for kids. They can stir bitumen, watch cartoons about the tar sands and how they were discovered, watch how they separate oil from the sand and play with toy sized heavy equipment to move tar sands around. 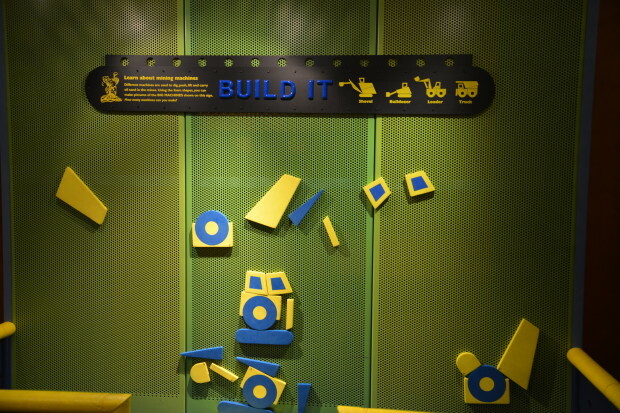 Exhibits are created to encourage interaction similar to the science and nature museums in the United States. Check out their photo gallery showing kids and elders playing with the heavy equipment. Tar Sands Play Lab at the Oil Sands Discovery Centre in Fort McMurray, Alberta, Canada. The Centre even has the audacity to host school programs where they teach science and wildlife biology and conservation to kids. I wonder if they tell the kids about the mass deaths of ducks and other migratory birds in their tailings ponds or how scientists are finding deformed fish in the Athabasca River from frequent oil spills. The Albertan government wants the Centre to be perceived as a celebration of human ingenuity but what they don’t understand is that it is a museum of human greed, folly and recklessness. They are trying to hide the absolute environmental and human devastation of the tar sands by displaying it in full sight. I guess their theory is that someone couldn’t be ashamed of something that they brag about. I think you can even buy some bitumen in their gift shop. Unfortunately, I was in a hurry to catch a plane so I didn’t have time to browse. I guess I’ll just go get some the next time a pipeline breaks in the States. It would make a nice gift for my nephew. 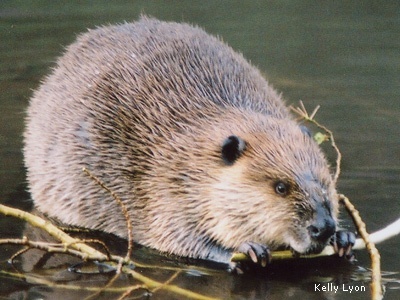 This photograph of a beaver was an entry into the National Wildlife photo contest. At the end of the loop, there is a tiny section dedicated to the environment and reclamation. There is a bizarre tribute to the beaver where they mention that the beaver, just like humans, manipulates his environment. They have some sticks in a bin for kids to grab. Damn beavers always cutting down trees, creating wetlands and providing habitat for other critters. Tell President Obama to reject the Keystone XL pipeline and protect the people, wildlife and habitat from further destruction. Pipeline exhibit at the Oil Sands Discovery Centre.